Current titles published by Makena Press. 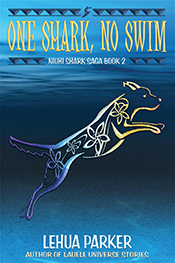 Lauele Town Stories take place in the same universe as the Niuhi Shark Saga, but are generally not for middle grade readers. 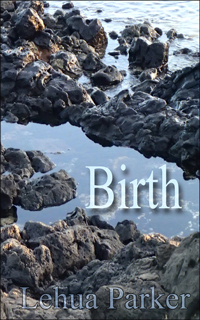 Birth is a novella about the day Uncle Kahana and ‘Ilima found Zader as a new-born infant on the reef. 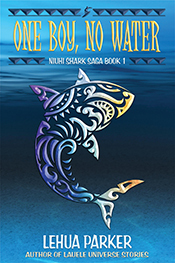 It gives more of the back story and explains how Zader came to be part of the Westin ‘ohana. There are two versions of story in the same book: one in Standard American English and the other with Pidgin dialogue. 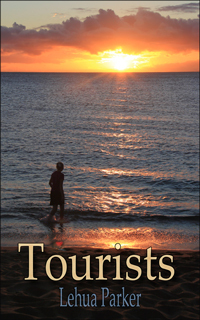 Tourists is a short story about a young location scout from Hollywood who stops into a local Hawaiian bar and discovers she’s bitten off more than she can chew. 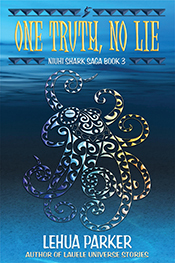 Starring Kalei, Kahana, and Ilima, this is not one for the kids. Sniff is a short story about another young boy in Lauele Town with a secret under his bed.